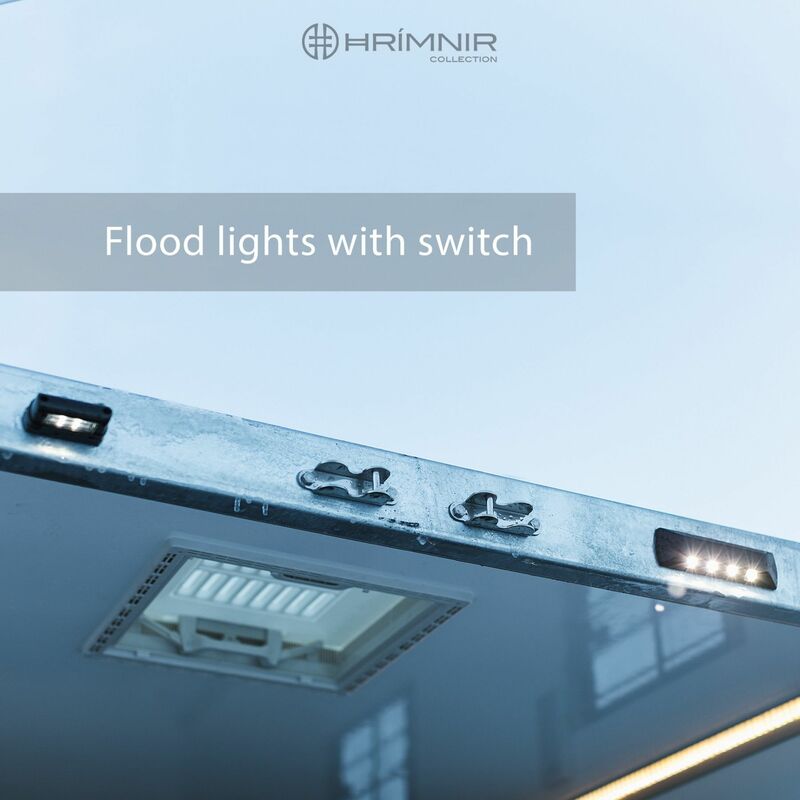 The Hrímnir horse trailer is highly practical and carefully designed for the comfort of the horses. 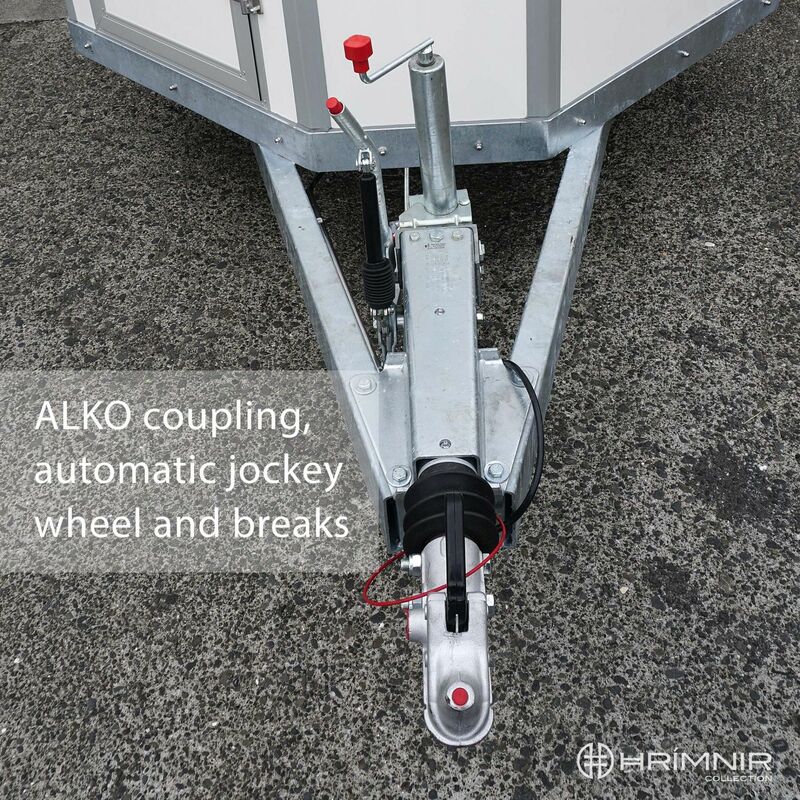 This modern aerodynamic styling and durable construction, light towing weight and thoughtful features combined with the unique ALKO dual axle, coupling and breaks, provide you with an excellent towing solution for transporting your horses in comfort. The horses travel on the diagonal, maximising space and also helping horses balance naturally using their head and neck, rather than by leaning back onto the breech bar. 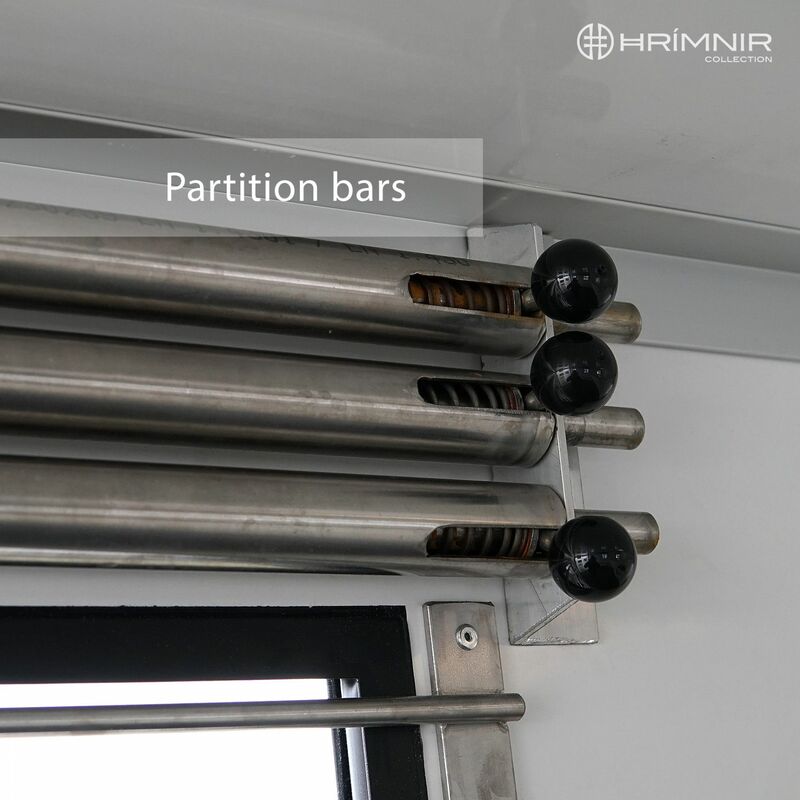 This arrangement also enables you to increase or decrease the width of the partition depending on the build and preference of the individual horse.